Modern homes need reliable electrical systems more than ever before. In our increasingly technological lives, we need to have the electricity to charge our mobile devices and to power everything from lights and appliances to high-end entertainment systems and so much more. Unfortunately, even homes constructed just 10 years ago often weren’t designed the ever-growing electrical needs of today’s families. The good news? One Source is here to help. We offer a wide range of electrical services to meet the needs of modern families. Whether you need to have your system upgraded to meet your electrical requirements, you want to have a few outlets or ceiling fans installed, or you need a hand with just about any other type of electrical project, our local electricians are here to help. At One Source Home Service, we pride ourselves on providing safe and reliable electrical services in Colorado Springs and Pueblo. We employ only the best electricians to ensure that every job is completed to the highest specifications, and we never rest until the customer is completely satisfied. Wiring for TVs, Entertainments Systems, Computers, etc. If you are looking for a reliable electrician in Colorado Springs or Pueblo, you’ve come to the right place. Our team is available ‘round the clock for emergency repairs, and you can always rest assured knowing that your One Source electrician will complete the job safely and as efficiently as possible. 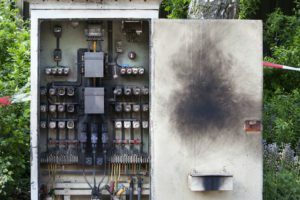 Don’t risk trying to solve an electrical problem on your own. Stay safe and save yourself a lot of potential hassle and frustration by calling One Source. For service in Colorado Springs, call 719-532-9000 or call 720-307-7770 for service in the Colorado Springs & Pueblo area.